Have you ever wondered if buying organic is actually worth the extra expense? Well, if you consider your health to be a priority, then eating organic certainly is worth it! There is growing research that points in the direction of organic foods if you want a more nutritious and less dangerous meal. Dangerous? Why do we say dangerous? Because, simply put, non-organic pesticide-treated foods, contain detrimental health elements that could lead to serious health effects. Choosing organic foods over other manufactured foods is beneficial in that you won’t expose yourself to harmful pesticides and insecticides. The conclusions of a recent study conducted by the European Parliamentary Research Service have determined that evading these dangerous elements will improve meal nutritional value, decrease risk of disease, and elevate early childhood development. In addition, your dietary patterns can be vastly improved by choosing organic. Furthermore, pesticide-exposed food has demonstrated time and time again the presence of cadmium. Cadmium is a known carcinogen, capable of causing cancer. There are no safe levels of cadmium and once you absorb it, your body retains it over your lifetime, unless you take steps to remove it. Cadmium is highly toxic for your kidneys and can trigger bone demineralization and can increase your risk of fatal lung cancer. Moreover, the presence of cadmium can affect your prostate health, blood pressure, and testosterone levels. 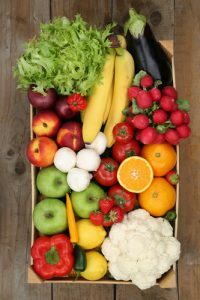 If you are eating inorganic foods, then you may not see any drastic results in the short term, but in the long term, you might wish that you had chosen wisely. Other studies have concluded that foods with pesticide-exposure had a negative effect on child cognitive development. These effects could be minimized by eating organic foods, particularly during time of pregnancy. So if you have young children, or even older children, it’s wise to keep them healthy by choosing organic foods to give them the best head start to a healthy life. Aside from avoiding risky health issues, choosing organic can help you with weight maintenance. Obesity is one of the greatest concerns for Americans. Additionally, obesity is a risk factor for type 2 diabetes. If your child is experiencing allergic reactions to foods and they have never had a history with allergies, these could be stemming from inorganic foods. This is also true for adults. So switching to organic may help you enjoy some of your favorite foods without uncomfortable drawbacks. Finally, the environment benefits from organic farming practices as chemically produced elements steer far from crops and in turn positively impact the bee population, whom are key pollinators needed to grow crops and currently face risk of extinction. As the public begins to come aware of the numerous chemical hazards that are used in typical market foods, the demand for organic options has grown at a tremendous rate. A recent report even indicated that 17 of the top 20 retailers are not meeting consumer demand. So next time you go shopping, choose the organic option for your health and let your retailer know that you want more organic options. You’ll not only be helping your health and the community, but also the environment. If you work at a desk job, then you probably have heard about the harmful effects of sitting. And if you haven’t, yes, sitting can cause negative effects on your liver, weight, brain, mental health, and your lifespan. Luckily, growing research on the health topic of sitting has brought to us methods to combat this office-induced phenomenon. The latest study tells us that in the situation of standing/sitting, we might want to think of a more quantity over quality concept. A new study conducted by the University of Glasglow found that people typically burned more calories when they stood up more frequently (90 seconds) compared to longer blocks of time (15 minutes). This study was conducted with 10 overweight men who went through three scenarios of sitting over the course of several weeks. They first had them sit the entire day, only getting up for bathroom breaks. Then they alternated between sitting and standing every 15 minutes. Finally, they alternated every 90 seconds between sitting and standing. In the end, the men were standing for a total of four hours but with only 32 transitions in the second scenario and 320 in the third. While the second situation burned 10.7 percent more calories than continuously sitting, the third scenario burned 20.4 percent more! That means the men’s bodies burned an additional 71 calories and oxidized about 7.1 grams more fat. After all the calculations, the researchers concluded that over a period of four weeks, choosing between the two situations of alternating between sitting and standing could translate to a weight loss of 2.7 and 4.9 pounds, respectively. Although, the sample size is small and the research is fairly new, the results are great news for those trying to combat sitting. The numbers make sense! You’re essentially adding squats to your daily office time. If you’ve heard that interval training works better than elongated workouts, then you can see how the science would apply in the same way here. This might put some struggle into your office productivity, so if you’re trying to keep healthy alternate your position as much as realistically possible. Get your work done but don’t compromise your health either! So Do I Not Need To Workout? Are you wondering if you can get away with standing and sitting all day at work without your daily gym time? Not exactly. This method can never actually replace your daily fitness routine, but it certainly helps! If you have no plans to go to the gym or go on a brisk walk after work then you should definitely employ this tactic. And even if you do plan to keep your fitness up to par, alternating positions will still greatly benefit your health! So next time you’re at the office, try setting a timer for you to follow where you’ll know to stand up or sit down. If it’s too uncomfortable consider making the investment in a standing desk! Can Taking A Cold Shower Benefit Your Health? Interest in whether or not cold showers carry health benefits has grown popularity on online web searches. Maybe you are even one of these people attempting to find out if you should be taking a cold shower. Well we are here to clear up your questions based on the facts. Unsurprisingly, it’s more complicated than a “yes” or “no” answer. There are multiple studies that suggest cold water during a shower can help increase metabolism, boost your mood, and even produce healthier skin and hair. However, the research is still at its beginning stages or is loosely connected. For example, there is data to suggest your mood can be boosted from some cold water, originating from a study in Finland, but it is not enough to be certain. In addition, researchers say that 2-3 minutes in a cold shower may relieve depression symptoms, but again they noted a need for further research. Another possible outcome of a cold shower may include the build up of brown fat (a type of fat that burns extra calories). However, there is enough evidence to say that cold water “will flatten the ruffled cuticles and lock in moisture to prevent breakage” in your hair. Cold water can also increase blood circulation, constrict blood vessels to tighten pores, and decrease redness and puffiness. So if you want a nice and healthy glow in the morning, perhaps you want to try ending your shower with some cold water. 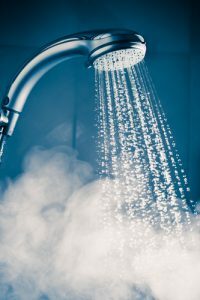 The benefits of cold water are yet to be concluded confidently, however the health experts suggest that you could revel in the possible benefits with just a 10 second burst of cold water at the end of your shower. And if you absolutely can’t stand the thought of cold, then you probably won’t miss out much. The best showers you can take are in lukewarm or mildly cold water that last for 10 minutes or less. Be sure to lather with a gentle and fragrance-free soap. At the end of your shower pat your body down with a towel and moisturize your body while your skin is still damp. You should be able to thoroughly enjoy a beautiful glow. One warning when taking showers is to be sure that the water isn’t “super” hot. You might feel relaxed but it can truly be damaging for your skin and hair. Why is this? The hot water will strip away natural and protective oils. Those who have to deal with skin conditions such as eczema should be especially aware since the disappearance of these oils can leave your skin feeling dry and itchy. So take the cold water advice, but only at a minimum. Don’t worry too much about missing out on these loose health benefits. You could benefit even more from living a healthy lifestyle with balanced nutrition and a good fitness regime. Have you heard about the theory that money doesn’t make you happy? Maybe you even disagree with the concept. Well, there’s actually new evidence to prove that money is not the most important determinant of an individual’s life satisfaction. In fact, it matters more that a person is healthy and has solid relationships. According to the latest report presented at the London School of Economics, if governments were to focus on alleviating issues such as depression, anxiety, poor health, and weak relationships, then they would reduce unhappiness by 20 percent compared to 5 percent when eliminating poverty. Additionally, the report found that having a life partner increases life satisfaction more than education. This finding is in line with previous data claiming that being married is worth more than $100,000 of annual income (for both women and men). If you’re still not buying the facts, consider the observation that Germany, Britain, and Australia have seen a massive increase in living standard but average happiness has remained stagnant. All the facts suggest that if we want to be happy, we need to spend time fostering our relationships and taking care of our mental and physical health. Strong relationships and great health are priceless, however they can only take you so far. There is a point where low income turns into a huge issue for both factors. Poor individuals and families often experience intense psychological distress at a higher rate than those living above the poverty line. This leads to severe complications like heart disease and diabetes. Having too minimal of an income can in turn negatively affect your health and strain your relationships. In conclusion, researchers believe that there is no further satisfaction progress to be made past an annual salary of $75,000. Having a high income can help you in life satisfaction, but really can’t buy you happiness. What’s The Happiness You Should Chase? Happiness can be defined differently for everyone. But, statistically speaking, younger adults prefer “extraordinary experiences” and older adults prefer ordinary everyday experiences, like drinking a quality, warm cup of coffee. Aside from going out and doing things, it would help to have a good friend or two (or five) to enjoy it with. These friendships should break through a surface and be of quality rather than quantity. True happiness comes from being aware of the world and the people around you. Not only will you make a big difference in your life if you take this advice, you’ll also increase intuition, creativity and personal connections. Don’t constantly chase a higher salary, instead take a few moments out of your day to call your mom, or go for a run with your best friend. You won’t regret it. The holidays have been known to be the “best time of the year,” however it’s probably not the best time of the year for your body. As we get busy around this time of year, we often skip the gym and instead sit down with some delicious, but not so nutritious food. What that means for us is that we will probably gain a few extra pounds or lose some muscle density that we’ve worked hard to maintain. Don’t get discouraged! Because we have tips for you to get back to your old self in no time! It’s good to set realistic and achievable goals for yourself instead of setting yourself up for failure and discouragement. It is suggested that you attempt to lose one pound per week. You’ll have to cut a minimum of 500 calories through diet and exercise each day. Try to really follow the next few tips in order to meet that 500 calorie cut down. A daily dose of orange juice is perfect for consuming necessary vitamin C, but you could also benefit from a few reduced calories in your drink. So instead of filling your eight ounce cups all the way, fill it halfway (four ounces) and fill the rest with seltzer. You’ll save 61 calories, slightly under 500 a week. You don’t have to spend long hours at the gym to meet your weight goals. You simply need to know the right strategies. You can burn up to 500 calories within 25 minutes with high intensity interval workouts. Learn more here. If your daily go-to snack is a pack of milk chocolate M&M’s, then you should make the switch to dark chocolate. Eat two squares of dark chocolate and you’ll eliminate up to 600 calories. Plus, dark chocolate has proven to help keep you heart healthy and boost your mood. You should be cutting calories wherever you can, but one simple adjustment you can make is to your morning breakfast routine. Change out that bagel for an English muffin and that butter for an avocado spread. You’ll slash around 300 calories just right there. And if you’re not big on toast, then find other creative ways to make small adjustments to your morning meal like using a less fat-concentrated milk in your cereal. Even if you’re not back at work just yet, you want to keep moving. Sitting on the couch all day, even if you went to the gym won’t help you any. Standing will help you burn 40 more calories than the average 100 while sitting. It may not seem like much, but if you stand for at least two hours a day, you could cut 560 calories by the end of the week. So whether you’re at the office or at home, don’t be still for too long! Follow these tips and you’ll be back to your old self in little to no time. You might even be healthier! 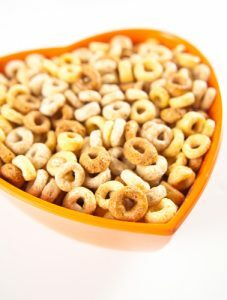 Cheerios have been a common first solid food for children all across the world. They’re small, easy to chew, and are free of genetically engineered (GE) ingredients. Even Cheerios advertises on their site that their product is perfect for children 9 months or older. However, despite these factors, consuming Cheerios could be a problem for your health. Recent tests have discovered the presence of glyphosate, a probable cause for cancer, in Cheerios and other food products. Read on to learn the facts. Why Is This Information Just Now Being Discovered? Glyphosate has been determined by the International Agency for Research on Cancer (IARC) as a likely cause for cancer from recent study. Thus, more interest has sparked as to what chemicals food companies are utilizing. We don’t already know this information because the U.S. Department of Agriculture (USDA) does not currently test for glyphosate. Despite this oversight, independent studies by Food Democracy Now and The Detox Project have uncovered that a variety of common products include glyphosate: Doritos, Oreos, Stacy’s Pita Chips, Kashi oatmeal dark chocolate cookies, Ritz Crackers, and Cheerios. You might be skeptical to the severity of glyphosate in your food. You may be wondering if these are just exaggerated facts to scare you off for a highly unlikely outcome. But, scientific evidence identifies “ultra-low levels of glyphosate” to be a serious factor to human health. In numbers, any food starting from 0.1 parts per billion (ppb) could be dangerous. To put that fact in perspective, Cheerios measured glyphosate levels at 1,125.3 ppb. U.S. regulators suggest 1.75 milligrams of glyphosate per kilogram of bodyweight each day. This is far higher than the European Union’s suggested 0.3. Recent scientific studies, however, have provided evidence that recommends a daily intake of only 0.025/mg/kg/bw/day. This is 70 times lower than how much the U.S. Environmental Protection Agency (EPA) currently allows. As more research develops, and our knowledge for healthier lifestyles increases, we must consider alternatives. Foods that are largely genetically engineered are likely to contain high levels of glyphosate. However, we have come to know that even non-GE foods like Cheerios can be detrimental. In some cases, non-GE foods could even be more likely to contain glyphosate, including foods like lentils, peas, flax, sunflowers, and more. Read more about what foods can have glyphosate and why farmers use it here. You shouldn’t take the suggestion lightly that you should avoid foods with glyphosate, especially for your children. Not only can it be linked to future cancer, but it also can enhance disastrous effects of other chemicals, disrupting body functions and contributing to diseases such as: obesity, infertility, Alzheimer’s disease, ALS, and more. Do what you can to avoid foods that are made with dangerous toxins. This way you’ll be taking back your health and sending a message to the farmers and food companies that you refuse to your family’s health. Good luck, eat smart and stay healthy! Up to 180 million Americans are using artificial sweeteners as part of their day-to-day routine. However, there are some serious drawbacks to this practice despite the misconception that these substitutes will help offset your sugar intake. These artificial sweeteners (aspartame) can be found in diet or sugar-free products disguising themselves as consumable for those wishing to lose weight. 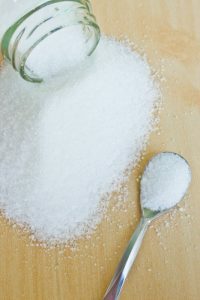 Existing research provides the contrary concrete evidence as to why you should avoid artificial sweeteners even if you aren’t trying to lose/maintain weight. In 2016, the misconception that artificial sweeteners aid in weight-loss is still a prominent stronghold in the world of marketing. However, research has documented its opposite effect since the 1980s. Data demonstrates how drinkers of artificially flavored drinks consistently have higher BMI’s and are more likely to gain weight compared to those who don’t consume these products. New evidence has only built upon these studies to support the analysis and even links multiple metabolic syndromes to these artificial sweeteners. Common syndromes include: abdominal obesity, insulin resistance, impaired glucose intolerance, abnormally elevated fats in the blood, and high blood pressure. One study even found that daily drinkers of aspartame-sweetened, diet soft drinks made individuals 67 percent more susceptible to type 2 diabetes. Daily consumption also increased the risk of metabolic syndrome by 36 percent. Despite marketing efforts to advertise artificial sweeteners as a healthy alternative, Americans are slowly but surely catching onto the facts—still not fast enough. Whether or not you simply like the flavor or are conscious about your weight, you should know that artificial sweeteners are not beneficial in any way for your health. Need more factors to consider other than an increased risk in metabolic syndrome and diabetes? In one study, people who drank diet soda had a 70 percent greater increase in waist size over a 10-year period. And artificial sweeteners have even been linked to cancer! So let’s stop the theory that ordering a large fries, but a diet coke will be okay for your health. The severity goes much further than weight gain or sugar intake. Aspartame is an artificial concoction that is essentially worse than consuming “regular” products. That’s not to say you should start drinking non-diet sugary beverages. Instead, you should avoid sugary beverages and foods at all costs if you want to lose/maintain weight and live a healthier lifestyle. Balancing your nutrition is imperative no matter how active or inactive you are. Living a long and flourishing life begins with what energy you put in your body. If you have preexisting conditions or simply don’t know where to start, then it’s wise to talk with a licensed physician about nutrition and the body. There are too many misconceptions that continue to pervade despite the piles of proof. Next time you see “sugar-free” or “diet” on a package, stay away! Do you want to pick up a new sport? Well maybe you should take a crack at one that will not only get you active, but also extend your lifespan. Research published in the British Journal of Sports Medicine indicates that three sports seem to lead to an increased lifespan compared to other forms of getting your fitness. These sports are: tennis, swimming, and dance. So if these are already your go-to hobbies, then keep going. If not, maybe you should consider picking up a racket, putting on your swim trunks, or your dancing shoes. The study surveyed 80,000 adults aged 30 and up concerning the type of fitness activity they had done within the last four weeks. The researchers maintained their study for about nine years and found interesting results. Of the participants who lived past the research period, it seemed that those who were involved in racquet sports, swimming, and aerobics (dance) were the ones least at risk of death. Even after factoring in age, gender, and medical history, the results showed that those who played racquet sports (tennis, badminton, squash) were 47 percent less at risk of death from any cause. They were even 56 percent less likely to die from heart disease or stroke. In addition, people who swam were 28 percent less likely to die from any cause; and those who participated in aerobics were 27 percent less likely. Swimming helped prevent heart disease by 41 percent and aerobics helped by 36 percent. Moreover, another interesting finding was that cycling lowered participant’s risk of death by 15 percent—but didn’t protect against heart disease. So what are you to do with these results? Quit your current hobby and switch to something that will help you live longer? Not exactly. While adding some tennis or dance to your fitness routine could help, it’s more important that you stick to exercising in any form. Considering the motivation that any fitness activity necessitates, you simply want to keep yourself excited and ready to exercise. Only 44 percent of studied participants met the national guidelines for physical activity, so there is certainly that factor at play. If you like swim, keep swimming, if not then don’t try to force yourself. No matter how you get your exercise, it’s simply imperative that you stay physically active in order to combat heart disease, stroke, and all other negative health factors. If you don’t yet play a sport or want to try something new, then perhaps you might consider picking up tennis or swimming. So long as you are continuing regular physical activity, that is far better than doing nothing. These results help draw a precedent for future studies and fitness routines around the world. For example, you may not enjoy squash, but you could try doing interval sprints to somewhat simulate the cardiovascular workout. Get your workout in whatever way you can and if you really want to get your fitness plan to the point of best results, talk to a health professional about how you can best meet your needs. White or Brown Eggs? Or Neither? You’ve probably gone to the grocery store and wondered what the difference is between white and brown eggs. Even if you don’t think you’ve ever tried a brown egg before, you actually might have since the taste is practically identical. So why sell the two eggs apart? Does it have to do with nutrition or just the color? Let’s find out. A common assumption is that brown eggs are “healthier” than white eggs, probably because they’re brown and typically cost more. However, what really matters is not so much the color of the egg, but how the chicken is raised. The color of the egg is determined by the color of the chicken’s earlobe, which mostly aligns with the color of their feathers (white, brown, or red). So hens, typically lay the brown eggs, while chickens lay white eggs. The hens are normally bigger and need more food, thus the cost increases and the farmers have to make up for it in market price. Thus, price and look alone do not determine egg nutrition value. Finally, you may have also heard to simply stay away from eggs, as they are not healthy no matter the color or raising methods. As more and more evidence comes out that natural cholesterols are actually healthy for you, don’t worry about this theory. Egg yolks have even been added to the 2015 U.S. Dietary Guidelines for protein. 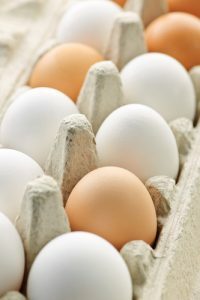 You can learn more about the debunked connection between heart disease and eggs here. America produces around 50 billion eggs per year, making it the largest egg-producer in the world, which is pretty remarkable if you ignore the fact that it’s done through industrial agriculture. This farms that practice this are referred to as concentrated animal feeding operations or CAFOs. These chickens (white or brown) are cramped into spaces where their feet sometimes don’t even touch the ground, festering an environment for disease. In these industrialized farms, chickens and hens are likely being fed the same type of food, producing identical tasting eggs. In terms of nutritional value, there is little to no difference between white or brown eggs if the poultry was raised in a CAFO. The chickens and hens are both being fed genetically engineered (GE) corn and soybeans opposed to their natural plant, seed, worm, and insect diet. Plus, they are regularly given antibiotics to prevent disease outbreaks. All of these factors do not make for a healthy egg. The next time you’re craving an omelet, opt for pasture-raised eggs. This way you know that your eggs come from farms that allow their chickens/hens to live in free-range areas that cultivate healthy living and diets. Brown eggs are a good indicator that they are pasture-free eggs, but don’t automatically assume that they are simply due to their color. If you have questions, ask someone at the store who can help. It will be worth your time and effort to know what you’re eating. Be constantly aware of where your food comes from, because there is much more detail when it comes to nutrition besides color. Choose pasture-raised eggs the next time you go to the grocery store for your improved health! Have you ever wanted to know what age you’ll live to? It would certainly make life less uncertain. Well, there isn’t a surefire way to tell the future yet, however there is a way to calculate your risk of premature death. While this formula does not take into account unfortunate and unexpected events, it does take into account your personal health numbers that will inform you of what the future holds for you. Your “fitness number” will help you to analyze how likely you are to develop serious health conditions like cardiovascular disease. Of the 38,480 people studied, those who were least fit had an increased risk of premature death by 50 percent. As people moved into better fitness increments their risk of developing fatal heart conditions decreased by 18 to 15 percent. These findings are immensely important when it comes to preventing cardiovascular disease putting emphasis on fighting it at the fitness level. When researchers factored in other traditional health factors like high blood pressure and cholesterol, there was no significant change in accuracy level. Thus, if you want to really take a hold of your health and assess your current state, then calculating your fitness number is a great first step to make. This simplified way to measure your health risk has even been put into a mobile app format because it can be calculated using information you probably already have readily available. You need easy information like your age, height, weight, waist circumference, and resting pulse. You can visit this website or download apps from Google Play or the Apple Store. With just a few minutes of your time, you could open your eyes to what your present health says about your future. In the year 2016, you don’t need some fancy physical fitness research plan to assess your health risks. Your physical activity level can be more than enough when predicting your heart’s health risks. If you want to live a long and prosperous life, developing cardiovascular disease or other heart related conditions are a giant obstacle that can get in the way of that goal. Your fitness number could be a huge wakeup call, or give you some great news! Either way, learning what your fitness number is will certainly give you advice you need moving forward. You may want to maintain your fitness as normal or rapidly increase your activity. Take control of your health now, or you might regret it in the near future!